Pulaski Veterinary ClinicCaring for companion, equine, and livestock animals. Caring for companion, equine, and livestock animals. Cytauxzoonosis, also known as "Bobcat Fever" is a life-threatening disease of the domesticated cat. It is a Rickettsial disease, a disease transmitted by a tick. The tick that transmits this disease is the Lone Star Tick. The natural host for Cytaux is the bobcat. Once a tick feeds off of an infected Bobcat, it will then feed on a domestic cat and infect that domestic cat with Cytauxzoonosis. Cytauxzoonosis rarely affects the Bobcat host, however, is almost always fatal to domestic cats. Domestic cats can start showing symptoms within 10 days of the infected tick bite. 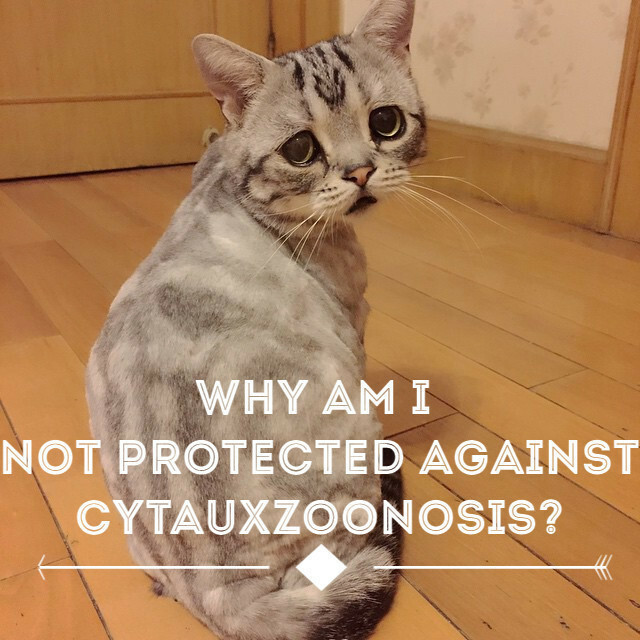 What are the symptoms of Cytauxzoonosis? Pet owners should contact their veterinarian immediately if their cat shows any of the signs above. To Diagnose Cytauxzoonosis, along with viewing and charting the clinical signs, blood must be drawn from the pet and a variety of laboratory procedures may be completed in order to diagnose the patient with Cytaux. Tests include, but are not limited to, Complete Blood Count, Chemistry Profile, Blood Smears, and PCR testing. Treatment of Cytaux varies, as the disease is steadily becoming more prevalent. Supportive therapy, along with very specific treatment plans determined by your veterinarian, insure the best rate of survival. As few as 20% of Cytaux cases survive, even with early, aggressive veterinary treatment. With no treatment, the fatality rate is near 100%. Preventing your cat from contracting Cytauxzoonosis is as simple as ensuring tick prevention is applied/given to your cat every month. Seresto flea/tick collars have been said to be the most effective against the Lone Star Tick, the tick that carries this disease. You should also check your cat daily (or as often as possible) for ticks. The earlier the detection of the disease the earlier your veterinarian can start treatment. Anonymous: Spay and Neuter your pets!